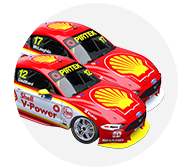 Supercars champion Scott McLaughlin could be in for a sliming next Monday night, when he's up for a gong at the Nickelodeon Kids’ Choice Awards. 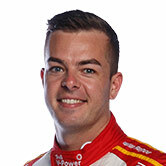 McLaughlin is one of six nominees in the Favourite Aussie/Kiwi Sports Star category, among the annual event for the global kids channel. McLaughlin is up against basketballer and fellow Kiwi Steven Adams, NRL player Cooper Cronk, cricketer Alyssa Healy, AFLW star Moana Hope and Matildas captain Sam Kerr. Voting closes on Friday, March 22, at 12pm AEST. "It's cool," McLaughlin said of his nomination. "I remember watching the Kids' Choice Awards with my sister a number of years ago, and the slime and all of that sort of stuff. "I'm excited about the fact I've been nominated but probably not excited, if I did win it, about getting slimed! "Our sport is kids-focused, we want to try to get to a younger audience, and I pride myself on looking after the little ones, always signing their shirts first over the older people. "I count myself half-a-kid anyway!"